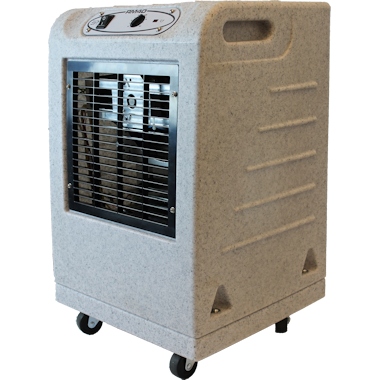 The New EIP Ebac RM or Rotamoulded Range is an affordable dehumidifier with a host of features. Three models are available the Ebac RM40 for smaller applications and the larger capacity Ebac RM85 and RM4500. The larger machines are fitted with high capacity Condensate Pumps with 3M lift (optional on the RM40) All models are fitted with "Reverse Cycle" defrost system for more effective use down to 3°C. The RM85 is available in single voltage 240vac or dual voltage 110/240vac. An integral humidistat is an option on all models.